Since 2001, The Survivor Mitzvah Project has traveled all across Eastern Europe on our Humanitarian Aid Expeditions. 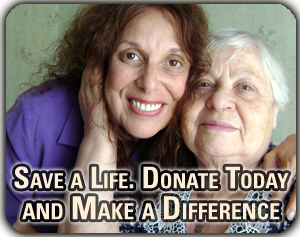 We bring emergency aid to elderly survivors and record their Holocaust testimony, family history, and if possible go with them to the forests, partisan bunkers and other locations where they fought to survive the Holocaust. On these expeditions, we also seek out and identify more survivors needing aid in remote towns and villages. Along the way we photograph and film synagogue ruins, neglected cemeteries, mass gravesites, and vestiges of pre-war Jewish life that has never before been filmed. All of this material is preserved as part of the SMP’s growing Holocaust Educational Archive, which we plan to make available to students and educators in the future. If you are interested in supporting this unique and important archive, please Contact Us.